Child-friendly?Though the violence and explosions are on par with past Star Trek films, the glossy look of the new film may give it a contemporary edge and will make this reboot a bit louder and possibly more exciting when compared to past incarnations. Parents should be aware that there are various fights in the movie, including hand-to-hand combat, and that a villain destroys an entire planet. Mild sexual situations are depicted as well and will mostly likely make this movie appropriate for children 12 and up. Director J. J. Abrams’ (Lost) long-awaited reboot of the Star Trek franchise has finally hit theaters and somehow brings a new level of excitement and intrigue in a story that has been around since 1966. If you count the other films of the original Star Trek, this makes the new movie the 11th in the franchise, but it couldn’t be more different. This is an origin story of James T. Kirk and the crew that will eventually become the long-lasting members of the Starship Enterprise. 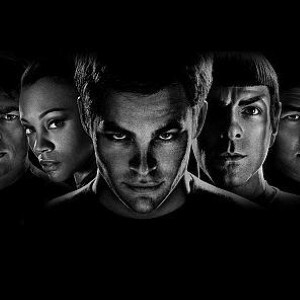 It’s here where we witness how Kirk (Chris Pine) and Spock (Zachary Quinto) meet for the first time. While fans of the films know the eventual history between the two, it’s interesting to see the two characters begin as adversaries rather than quick friends. The crew is brought together, appropriately enough, on the maiden voyage of the Enterprise, which has Spock in charge of an elite crew from Starfleet Academy. However, a new threat in the galaxy is brewing in the form of Nero, an angry Romulan who has made it his life’s purpose to destroy planets, and forces the young crew to engage in their first battle together. What follows is a litany of explosions, fights and, possibly, the excitement some older fans had when they watched their first Star Trek movie. Because of this, some fathers who were fans of the original may find the new film as a good way to bond with their son or daughter.